Franco-American, graduate of the Institut d’Etudes Politiques de Paris, Master’s degree in Business Law (Panthéon-Sorbonne) Juris Doctor (Cornell Law School), Isabelle Moy is a lawyer at the Paris and New York Bars. 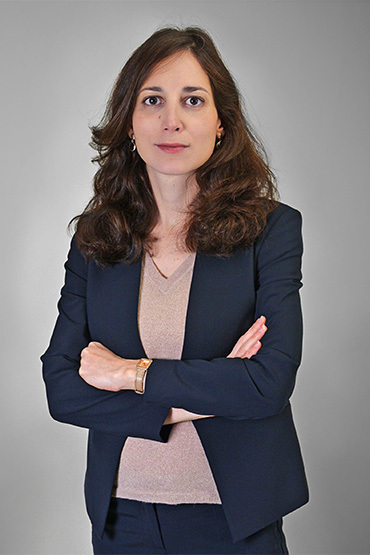 Before joining Villard Cornec as a partner in 2017, Isabelle worked for more than ten years in French and international law firms (Gide Loyrette Nouel, Allen & Overy, Simmons & Simmons), both in France and abroad (Paris, New York and Luxembourg). Through her dual training in civil law and common law, as well as her professional experience in several jurisdictions, she has developed expertise in complex international litigation – initially applied to business law litigation, and now to international family law.